Lyon is situated at the confluence of the Rhône and the Saône, in the south of France. The city is famous for its gastronomy, but is also a leading cultural center, with monuments like the Roman theaters, its district Renaissance (Vieux Lyon) very well preserved, the Cathedral Saint Jean or the Basilica of Fourvière. 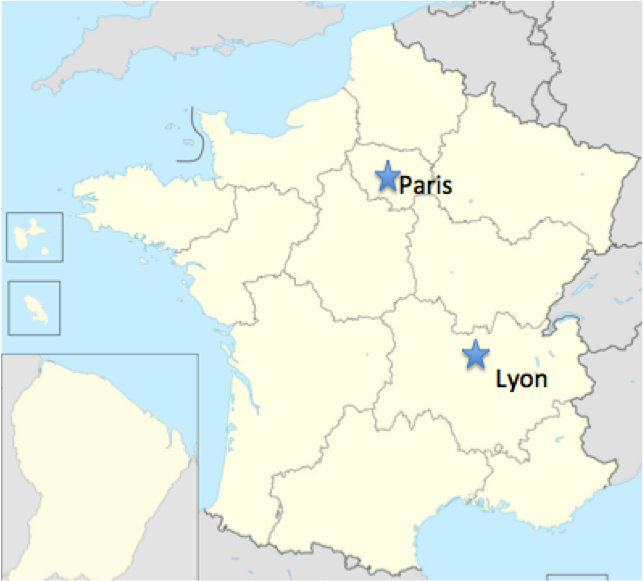 Lyon is accessible in TGV from Paris (2 hours), or by the international airport Lyon Saint Exupéry. The École normale supérieure de Lyon is located in the district Gerland in the south of Lyon, near the bridge Pasteur and of the Confluence Museum, on the left bank of the Rhône, next to Halle Tony Garnier (the old cattle market) . Two big fireplaces give by far to the school the aspect of a boat. The main entrance is by the middle of the building, under the part in overhang. It is necessary to ring to be able to enter, then distinguish itself in the reception as the visitor for the laboratory of mathematics. The UMPA is on the 4th floor. 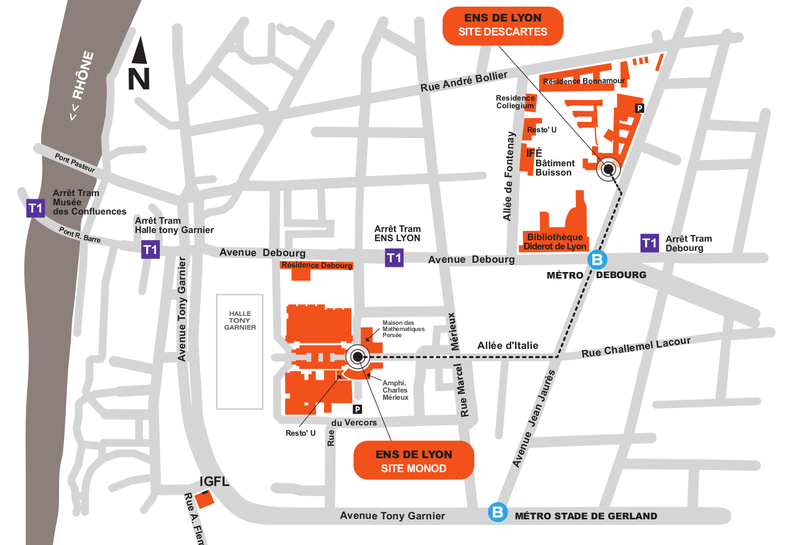 Take the shuttle Rhônexpress of the airport to Part-Dieu station, and apply the algorithm above.